Let’s go back, back, waaaaay back to say….700AD. A slight divergence from my usual fare, amirite? I was in Cancun for a wedding on a resort and got to take full advantage of a free day to go out and get some history! This is when most tourists would take a tour to flagship ruins Chichen Itza or Tulum, but my travel buddies and I didn’t want to be a sardine in a tour group bus and have to listen to someone (haha). 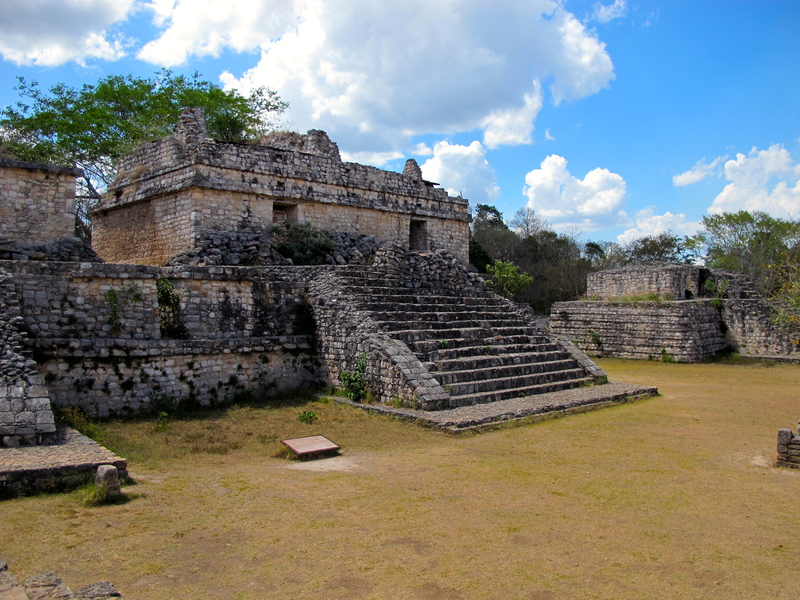 We decided to hire a cab driver* for $200 USD and took off to see the Spanish colonial city of Valladolid and Ek Balam Mayan ruins. Valladolid is about 2 hours west from Cancun’s commercialized areas (and far away from the drunk, sun burnt spring breakers!) 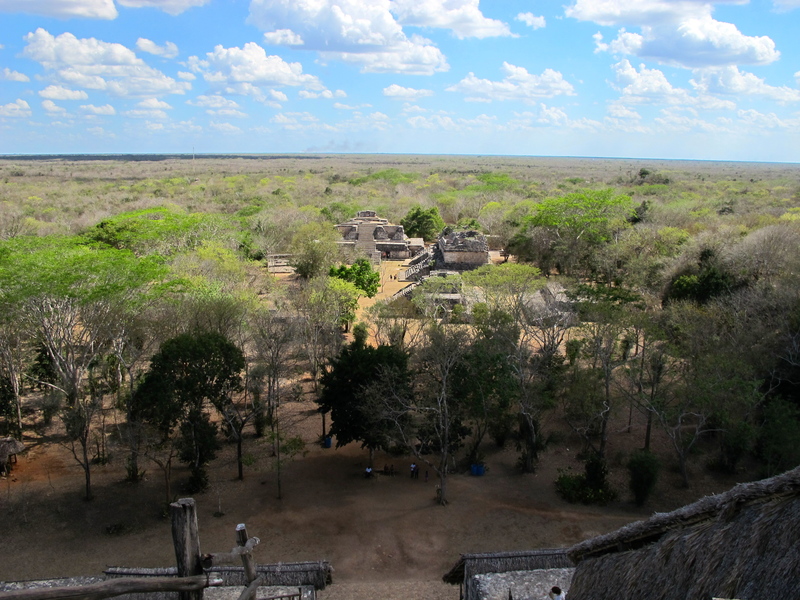 and Ek Balam is 30 minutes from there to the north. 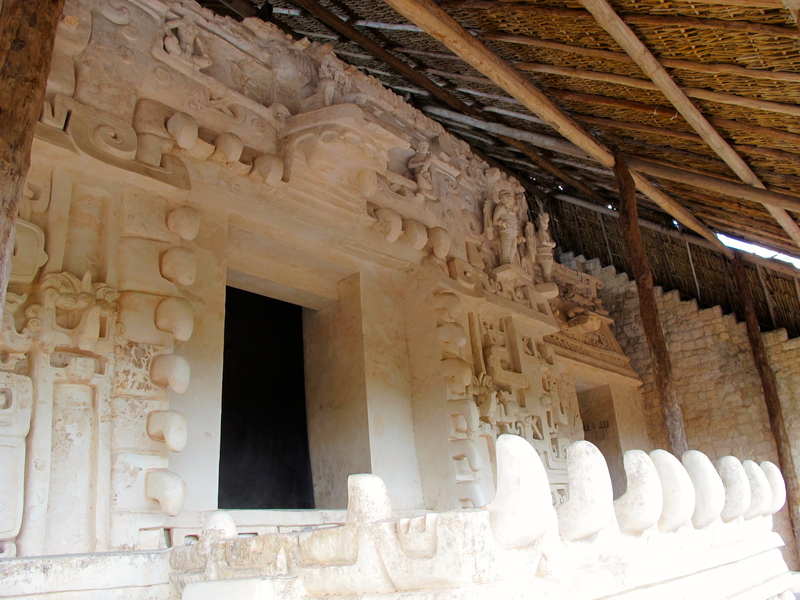 Fewer tourists and a nearby cenote for swimming make Ek Balam a special destination to get your history fix. 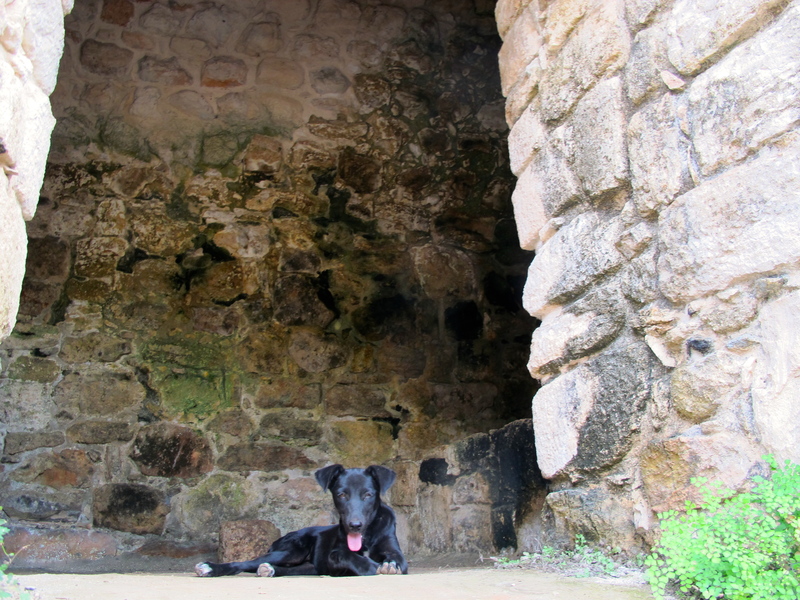 Unlike it’s famed neighbor Chichen Itza, Ek Balam (black jaguar in Mayan) has only been open to visitors for a short amount of time, and archaeological interest only began in the 80’s. 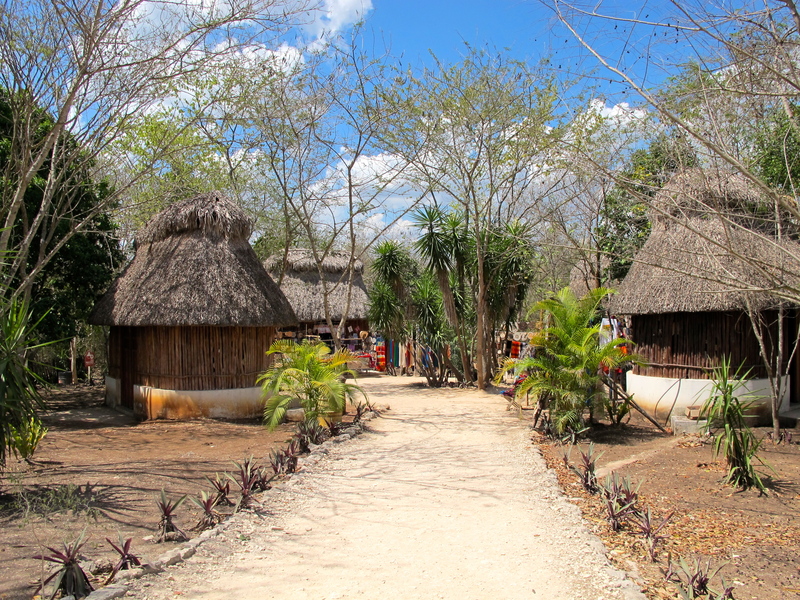 Visiting Ek Balam means driving into a remote jungle and then walking through a simple visitors section in the hot, dry heat on dirt paths surrounded by thick vegetation. The casual intimacy of these ruins makes it feel like you’re stumbling onto them for the first time, and the jungle threatens to swallow you up if you idle too long. It’s estimated that the Ancient Mayan civilization existed from 2000 BC until the 16th century, and encompassed all of central America. Mayan Kings were “divine” rulers that were a liason to the gods above, and warfare with neighboring communities was the popular political negotiating tactic. Trade routes decided the rise and fall of cities, and if they were destroyed,abandoned, or reused by the new king in town. Ek Balam was (probably) once a hugely influential Mayan city and agricultural center during the late Classic period around 770AD. Records suggest it was heavily populated and flourished for 100 years; a very impressive feat considering Mayan cities fluctuated and sometimes only lasted for a few years, and even more flooring considering how some of the structures contained older ones that were from 100 BC-200 AD. An entrance gate and walls ceremoniously welcome you to the city center and opens up to 15 of 44 excavated structures that are accessible to the public. Three key ruins make up the main area, most notable being the super steep Acropolis. You are also allowed to climb the ruins and get the most spectacular view of unadulterated land that stretches on seemingly forever. 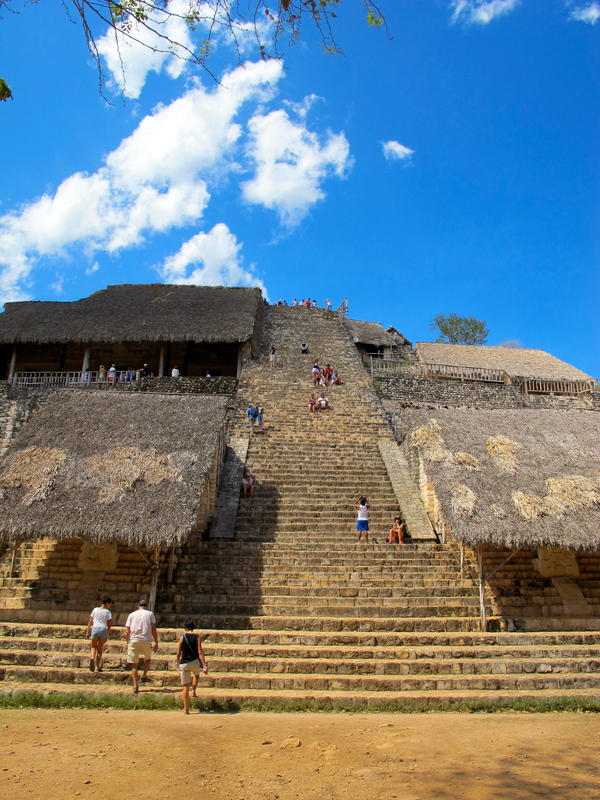 You can’t do at Chichen Itza or Tulum! At 100 feet high and 106 steps, the top of the Acropolis temple is unlike anything else. Naturally, it was here that the royal family lived and ruled their kingdoms. Climbing to the top is not for the light hearted (no railings, uneven and narrow steps), but the view was awe-inspiring; pure jungle as far as the eye could see, and the same terrain Mayan Kings and Queens gazed on. Eerie, isn’t it? About midway up you can see “El Trono“, the throne, where Mayan ruler Ukit Kan Le’k Tok is believed to be buried. 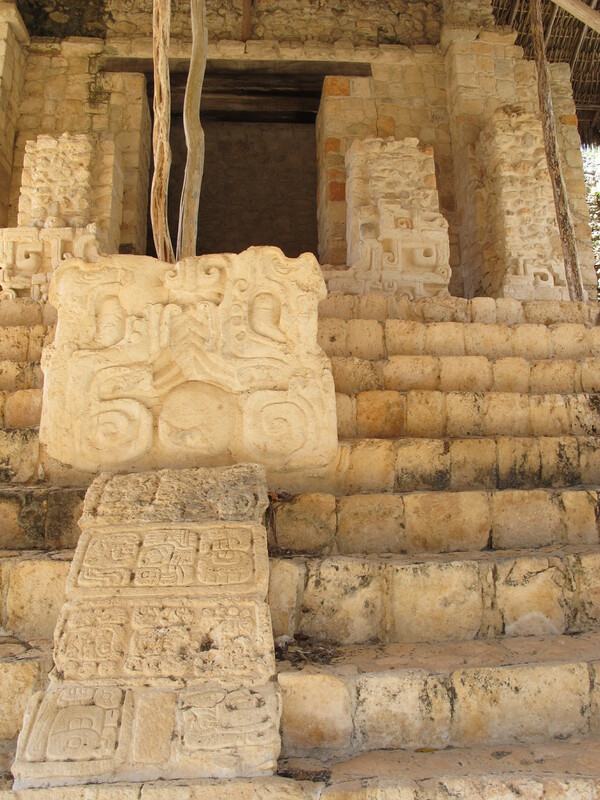 The entrance to the tomb has unique, detailed stucco decorations of Mayan warriors and is framed by huge jaguar teeth, a common theme at the “Black Jaguar” city. It was first excavated in 1998. It’s marvelous and so well preserved…It’s pretty remarkable. I don’t think there are many surviving examples of this sort of architectural artifact. 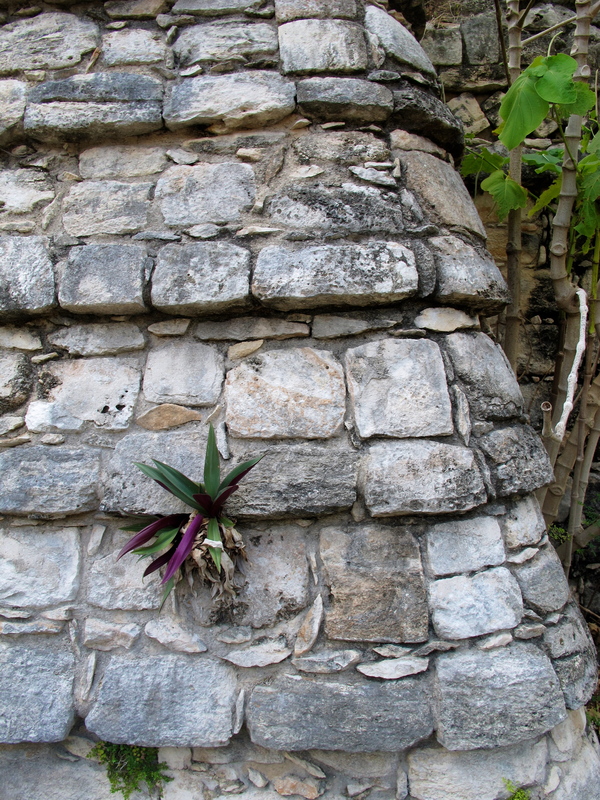 The thatched roof you see above is there for preservation and keeping the stucco safe. So what happend to Ek Balam? Back at the entrance were poorly made walls flanking the entrance gate that may have been created last minute as protection against attack. Theories suggest the city was deserted in haste after an attack, but there are also several ideas about the disappearance of the Ancient Maya that could apply here. However, keep in mind that their descendants, language, and customs still thrive in the modern day Maya people…so all was not totally lost. Lots of stray dogs running around. They’re friendly, but I wouldn’t touch them. Fleas!! Preserving an ancient marvel is valuable, and being allowed to climb these ruins will not go on for much longer. Do it while you still can, be respectful, and savor the experience. Set aside 1. 5 or 2 hours to give yourself enough time, and watch your step! Wear a hat, sunscreen, and sneakers, and bring water. At the entrance you’ll be able to buy some fruit popsicles which are super refreshing after being in the hot, dry heat, but you can also swim in the cenote that’s on the grounds. 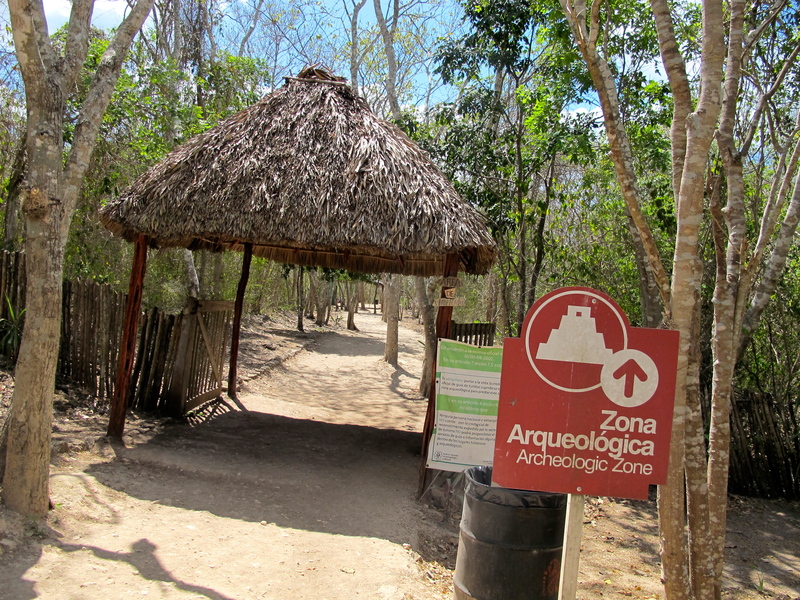 Don’t skip the cenote if you have time! You’ll be super thankful for a dip after exploring the ruins. This was tricky. The major highway from Cancun has clear blue and white signs directing you, but if you’re coming from Valladolid you’ll be traveling towards Tizimin. There are buses that leave with groups, but if you go the taxi route your driver will probably ask around to find the best route if he doesn’t know where it’s located. *I am fluent in Spanish so this wasn’t too difficult to arrange, but there are plenty of English speaking cab drivers if you desire the freedom that comes with not doing an official tour. Many thanks for the photo-lined, Maya is very beautiful and original architecture.